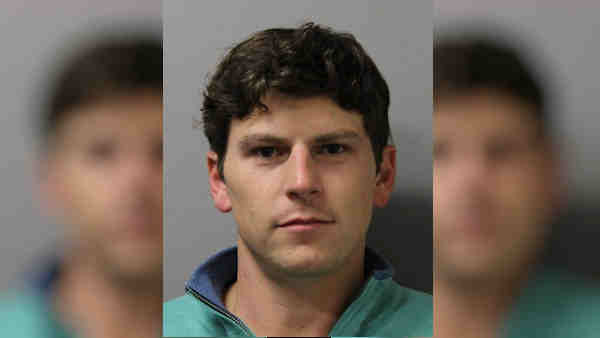 GARDEN CITY, Long Island (WABC) -- Police arrested a man in connection with several incidences of lewdness on Long Island. Between Sept. 25 and Jan. 5, Cameron L. McDermott, 31, of Hempstead, exposed himself to women in Garden City, according to the Garden City Police Department. McDermott is charged with possessing sexual performance of a child, and public lewdness charges. Police said he exposed himself to women half a dozen times or more. In one instance, at 10:30 p.m. on Sept. 25 he approached a woman in a parking lot at Adelphi, exposed himself and, after asking her a question, urinated on her leg, police said. In another incident, police said, at 5:30 p.m. Nov. 23, he approached a woman in Parking Field 7N and started speaking to her when she realized he was not wearing pants. McDermott was arrested Thursday in a parking garage in Hempstead, and police said his cell phone and computer contained pictures and videos of more incidents. He is scheduled for arraignment Friday in Hempstead. Anyone with information about the case is asked to call (516) 465-4150.